This stunning bracelet by La Preciosa shines with a shell pearl and crystal beads. This jewelry piece features a snake chain and a lobster claw clasp. The color of some of the charms isn't the same as the picture, and it looks somewhat cheaply made especially the clasp. II purchased this as a birthday gift for a friend who is a former model. I think she'll love it! This is a birthday gift for a dear friend who is a former model and definitely a Fashionista! 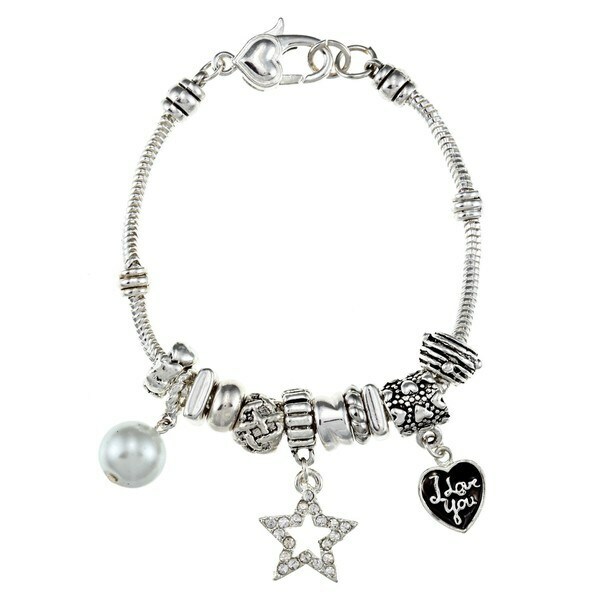 I iknow she will love this very pretty bracelet.